Harvest is kicking off, and that means long hours and hard work for Vineyards over the next month or two. In Oregon we've had some very warm weeks, and intermittent rain between the heat waves. This year harvest comes along with this cooling period, as opposed to the 2015 harvest was unusually early because of record breaking temperatures and long periods of no rain. 72.2 degrees: Warmest average temperature in 75 years in Portland. 71.3 degrees: Warmest average temperature in 120 years in Salem. 69.5 degrees: Warmest average temperature in 120 years in Eugene. 29: Days of 90 degrees or hotter in Portland, smashing the old record of 24 set in 2009. Temperature is a huge factor when considering wine production, but so is storage and oxidization. Most people know that storing bottles on their sides or upside down helps keep the cork moist and seals better. Did you know you could also sample the contents of your bottle without ever taking out the cork? 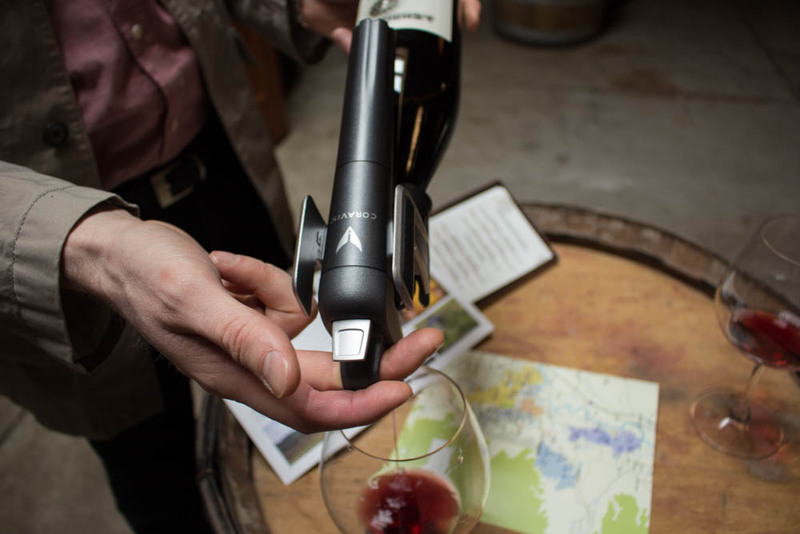 At a tasting at J Christopher Vineyards I learned about this nifty gadget to steal wine from a bottle, while simultaneously refilling the volume with Argon Gas to slow down oxidization. Adorning the label and top of every bottle at J Christopher, is the image of the Sun King, France's King Louis XIV. The sun also correlates with Apollo, god of peace and the arts. This nod to old world wines is seen in both bottle design and flavor profiles. A lot of New World reds are fruit forward, and a tad sweet, exploding on the palate then falling off your tongue. The range of complexity from any of his Pinot Noirs is developed and balanced with notes sustaining your tastebuds and leave you begging for more. Tastings are available by appointment only until their tasting room is opened in Summer of 2017. Old World wines are what he has always loved to drink. And since starting J. Christopher Wines in 1996, that's the style of wine he has worked to make here in the New World. 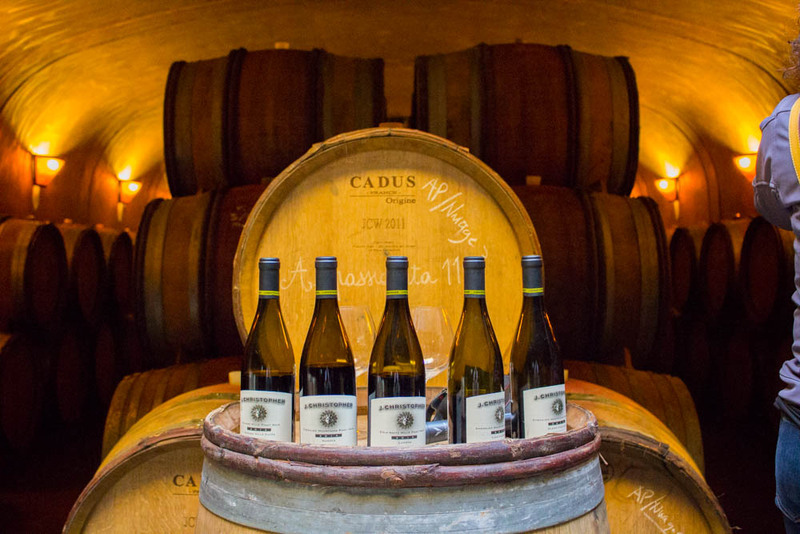 We follow biodynamic principles, and all of our wines are handcrafted in small lots, with fruit sourced from some of the best vineyards in Oregon. Our specialties are Pinot Noir made in the traditional style of Burgundy, and Sauvignon Blanc modeled after the great wines of Sancerre. Riedel Wine Glass Company - Get Free Shipping on Orders $150 or more!